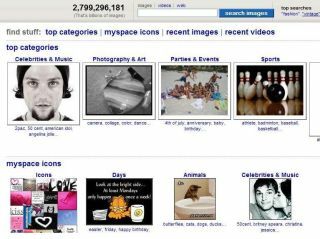 MySpace is looking to buy the Photobucket photo sharing website for $250 million (£125 million). The deal has yet to be completed but the companies have agreed on the main points of the deal, according to the New York Times . Photobucket is one of the biggest photo sharing websites in the US. It has around 41 million registered users, and more than 2.8 billion stored photos hosted on the site. Users can store and share photos as well as post them on social networking websites such as MySpace and Facebook . Some 60 per cent of Photobucket traffic already comes from MySpace, according to web monitoring firm Hitwise . "There's clearly a synergy between these two sites," said Bill Tancer, general manager of global research at Hitwise. Photobucket is free to use, but a $25 premium subscription buys you extra storage and the ability to store video clips.